QUESTION OF THE WEEK: What is one Classic Disney attraction that everyone seems to love but you don’t care as much about? Matthew – The easy answer here is two “kid” rides, Dumbo and the teacups. I would be more than happy to never ride either again. Dumbo in particular draws my ire, because the line (at least at Disneyland) is very hot and always long. Outside of Fantasyland, I don’t know that I have a great answer. I enjoy most of the classics. Even a few I didn’t love when I was younger, like It’s a Small World, I now like. If I have to pick, I’ll say that I haven’t been too excited about Star Tours in a long time. I loved it as a kid, but that’s faded over the years. I’ll give it another try at Disney World this summer and see if that changes. 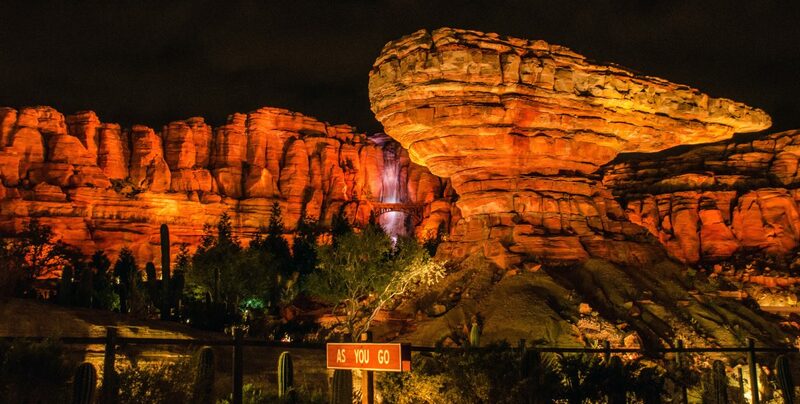 I also am not as crazy about Radiator Springs Racers as most people seem to be. I enjoy it and love the setting and ambiance, but I’m a little lukewarm on it overall. Andrew – I may be playing a little loose and fast with ‘Disney Classic’ here but I’m going with Soarin’. I enjoy the attraction and think it’s a solid addition to any park but I’m never all that excited to ride it. 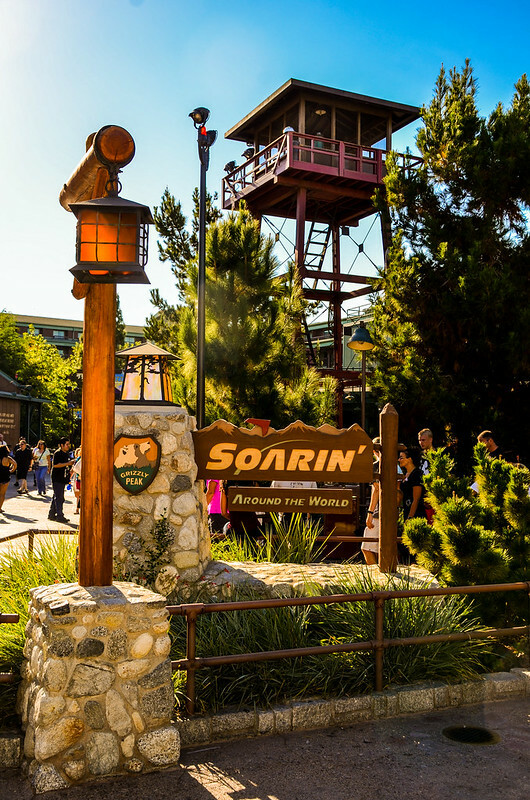 Soarin’ Over California was far superior compared to the current version but even then I didn’t find the attraction outstanding. It could be my love of physical ride sets opposed to screen-based attractions more than anything else. The current version has frustrating transitions and too much CGI in my opinion. I also don’t really like Toy Story Mania but didn’t think that qualifies as a classic. Leslie – Astro Orbiter, hands down. 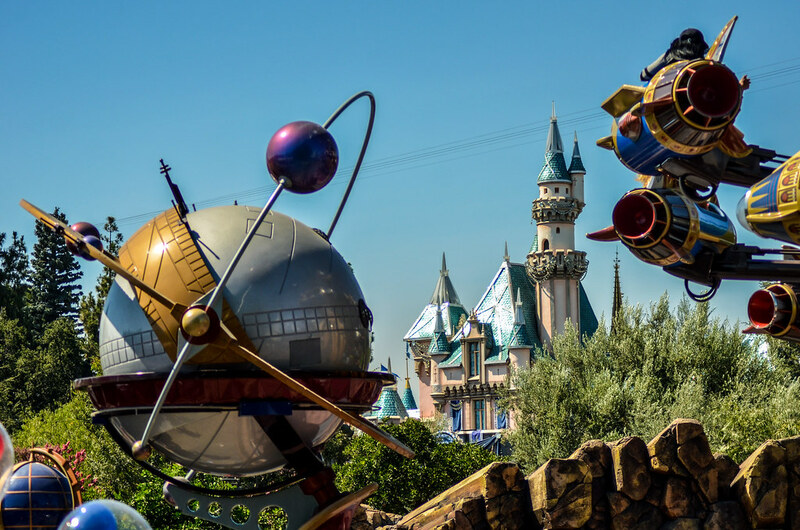 I’d rather ride Dumbo over Astro Orbiter because honestly I feel safer in Dumbo, plus with so many options that basically do the same thing I don’t feel the need to have it still when something better could fill the space. I get it, it looks futuristic and fun and you can see it from far away but I wouldn’t cry if they decided to get rid of it. Melissa – I’m going to get some flack for this one, but I’d have to go with Splash Mountain. I like the way it looks and think it’s a good attraction and see why it’s other people’s favorites, but it’s not mine. I’m not a big fan of getting wet on a ride and this one you’re guaranteed to. I’m also a huge fan of roller coasters…but don’t enjoy the log rides, I never feel secure enough and scream a lot on the big drop down. I’ll still go on it, just don’t care about it as much as other ones. 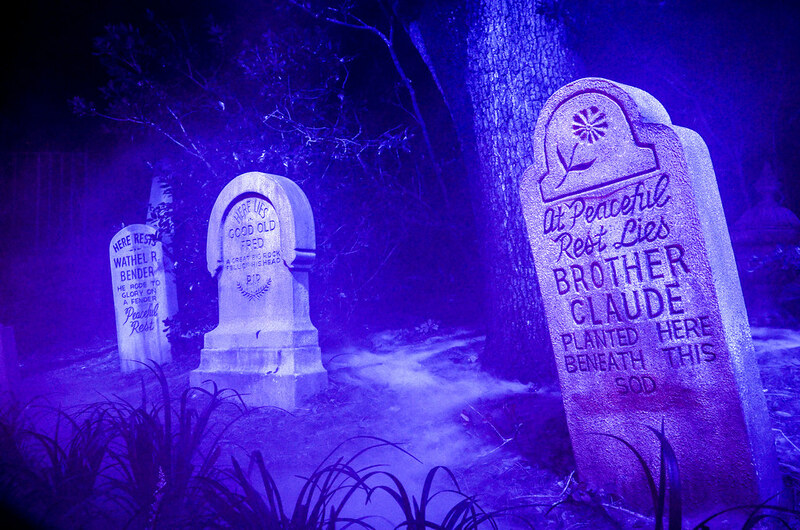 Darin – Hey, sorry everyone but Haunted Mansion is never near the top of my list. I have been warming up to it lately. I feel the terrible movie has something to do with this being that I saw that before I went on the ride. It was actually pretty hard to pick one, but if I can only ride one at a Disney Park then I would pick countless others. What classic attraction are you not so crazy about? Let us know in the comments below. If you enjoy what you’re reading here on Wandering in Disney then please subscribe to the blog and like our social media pages. We’re at Disney World this next week so we’ll be more active than usual on social media. Thank you for reading, we really appreciate it!